Edible insects are increasingly becoming part of regular diets of people. The rising inclination of people towards sustainable food, and increasing awareness of the health benefits of consuming insects is one of the key reasons responsible for the rise of the edible insects market in recent years. Their use as fodder for animals and pet food has also increased considerably. Livestock and pets require protein and mineral rich feeds, and insects are a good source of these nutrients. The global rise in population, accompanied by a rising concern for fitness will further bolster the market, as fitness concerned consumers require high protein diets and tend to incline towards protein rich products. Edible insects are also advantageous because of their cost effectiveness. This makes them popular among the middle classes. A variety of products containing edible insects are now available, with protein bars, shakes and snacks enjoying the greatest popularity. These insects are eaten as whole or used as ingredients in a variety of snacks, drinks and confectionary products. Their wide ranging uses make the insects even more popular and propel market growth. The global market for edible insects was valued at USD 35 Million in 2016, and is expected to report a CAGR of over 6% over the forecast period. On the back of rising popularity and low cost, the market is expected to expand and reach USD 56 Million by 2024. Beetles are the most consumed category of insects, as per the Food & Agriculture Organization (FAO) report. They account for nearly 31% of the total global insect consumption, followed by caterpillars, which account for 18% of consumption. Geographically, the European region is the fastest growing market in the world, with an expected CAGR of 7% over the forecast period. Growth in this region is mainly propelled by increasing awareness of the fact that insect consumption has minimum disease transfer risk as compared to consumption of other animals. As the European population is predominantly non vegetarian, the knowledge of this fact drives up the demand for edible insects. The Asia Pacific region, with a special emphasis on countries like China and Thailand, account for the largest market for edible insects in the world. This can be attributed to the traditional inclusion of insects in these countries, like the sericulture in China. Consumption of insects is culturally accepted in these regions, thereby creating a huge market for edible insects. 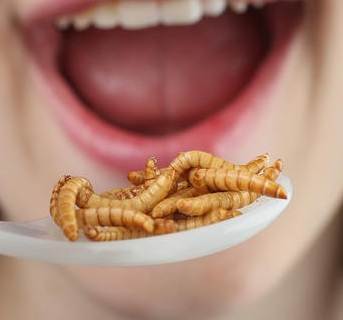 Rising awareness about the high nutritional value of insect consumption, augmented by the rising popularity of sustainable foods have been the key factors driving the edible insects market in recent years. The rising popularity of sustainable foods can be attributed to their low harmful impact on the environment. Besides the fitness conscious, these insects can also serve as important supplements for malnourished children and the elderly with a withering digestive system, as they are easy to digest. Insect cultivation releases less greenhouse gases as per the UN (United Nations) FAO (Food and Agricultural Organization) and thus is relatively environment friendly. The cost effectiveness or affordability of edible insects acts as another advantage. Their use as protein feed for livestock and for pet food supplies is another major source of demand for edible insects. As per a UN FAO report, feed production would have to increase by 70% by 2050, as compared to 870 million tonnes in 2011, in order to be able to feed the global animal population. This could translate into increased demand for edible insects and a consequent growth spurt in the market. However, a lack of awareness, misconceptions and preconceived notions about insect consumption causing consumer disgust might pose hindrances to the development of the market. More and more people globally are inclining towards fitness. This increases the demand for high protein food supplements. Edible insects provide a good alternative to chemically processed supplements, and are therefore gaining popularity. Players could capture this trend and target the fitness conscious population concentrated in urban areas to market their products.